Tell us about your role and how you got here. What inspired you to be part of the Marketing Technology company — SmartyAds? It was June 2016, when I officially joined SmartyAds as the brand’s “lifesaver” and dedicated advisor. Such responsibilities may sound epic, but they had no chance to be average after several DDos attacks and a series of poor-quality outbursts of weblinks, leading to our website and referencing our brand out of blue. Reputation is very important for every brand. Ours, obviously, needed urgent rehabilitation. This couldn’t have been a coincidence. It was a planned action, and my mission was to eliminate the consequences of it and bring our website back to life, and to ensure this level of disasters will never happen again. That was the most difficult period for us. In spite of this, we were pioneering the niche in Europe and had the best experienced in-house professionals on board. Unfortunately, it didn’t prevent the company from facing the point of no return. My work with online reputation management inspired me and the top management for a larger marketing campaign implementation. 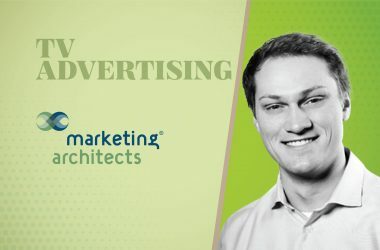 Since then, I have started to assemble an in-house marketing team in order to consolidate all marketing activities and streamline the work of the marketing department. Prior to that, we collaborated with agencies only. Automation is the key to customizing the ad unit display. From the total number of creatives available for a certain campaign, every user should see the one that holds the greatest potential to be clicked on. Automation can adjust advertisements in real-time to fit specific customer segments that the marketer might have high interest in. This year, we have switched to a new CRM, and integrated our marketing tools via API in a way that helped to create different segments aimed for working with clients of each product we have. The whole year has been wrapped around Marketing Automation and segmentation improvement in order to ensure the sharpest segmentation for marketing needs to be achieved. Content production requires profound organizational changes and a strategy that needs to be prepared seriously. Luckily, my professional background was sufficient to give me that understanding. At the heart of our content creation strategy is an ideological leadership. This is the fundamental thing. Without it, the passion for marketing techniques and discovering new media tools is meaningless. Content production has become a key marketing function for us that has rebuilt a cross-functional interaction throughout the organization: sales, product experts, and top management. Those departments became the participants and experts who constantly share their stories, thoughts, and provide valuable information considering the expectations of our customers. As a result, we have systematized blogging and communication through social media, made an audit of existing content and begun to close the main gaps — in the context of different segments of customers and different stages of their life cycle. We set basic engagement metrics — traffic, time on site, growth in the social media, number of leads, and so on. Regulation has been discussed for over three years, and after that, we found out that new rules will affect not only European companies — they will affect everyone who processes user data of EU-based citizens. Some companies hastily updated their confidentiality agreements, and others dropped their advertising campaigns in Europe like a hot potato. Like the majority of companies in the industry, we waited for May 25 with a certain level of unease. Only an insignificant percentage of companies turned out to be ready for the deadline, us included. We analyzed all levels of data collection that allowed us to get a clear idea of what types of data we use, how we process, collect, store it, and whether it all doesn’t contradict GDPR. What was the most disruptive moment in the Programmatic Ad Tech industry in 2018 that you think made the biggest impact on your business ideas? A lot of efforts in our company were directed towards blockchain innovations in 2018. The product of these efforts is an ad platform that was built on the basis of decentralized blockchain ledger. Since programmatic advertising has faced serious challenges associated with insufficient transparency, inflated prices and uneven commissions inside the chain, the AdTech market pays increasing interest in blockchain now. The main interest is associated with increased transparency delivered by technology that has the potential to heal the programmatic ecosystem. In particular, it can simplify transactions between supply and demand parties, remove the intermediaries and ensure absolutely safe, fraud-resistant trading medium. However, the practice has shown that the market is not ready for this technology, yet. Blockchain, so far, is not the most widespread solution among publishers and advertisers for a number of reasons, and the main of them is the legislation and technology infrastructure that is still being developed. There are several cases of distributed ledger usage in marketing, and everything else is still on the level of promising pilot projects that need a robust framework for functioning. There are already working prototypes the market learns from, but the problem is, we need a much higher level of awareness in order to remove misconceptions caused by the lack of education in the sphere. If we try to look two years ahead, the perspective becomes clear, we are standing on the threshold of mass technology adoption, the principles of decentralized networks have been developed well during the past decade. The market participants and global organizations have joined forces and together develop the main concepts, manuals, educational materials, the best practices to clarify the mechanisms of ROI returns and explain how to benefit from blockchain solutions in marketing. How did GDPR impact your marketing campaigns? In the first place, we understood that we were going to adapt to GDPR for good. It gives the users greater control over their personal data and obliges companies to ask for consent before using their data. The old legislation was simply powerless for this function since it was created before the dawn of the mobile era. European traffic, for us, comes last after the US, but not least, cutting off such a valuable source of users was never an option so the decision to begin the transition to new standards was immediate. First of all, we explained to our partners how the rules for advertising change. The publishers did ask for user consent before GDPR, but afterwards, they had to update this requirement in accordance with the new rules. We worked closely with our partners and developed all necessary measures that help to obtain the user consent and make it clear. We also came up with a decision using which the users can opt out of personalized advertising, switch it off on their gadgets and withdraw their consent easily in case they once provided it but changed their mind. What are your predictions on the “Role of CMOs” and the closing gap between Sales and Marketing functions? As a leader in AdTech, what message would you give to other CMOs? The role of the CMO is becoming more and more dependent on people, data, and the right business organization. Marketing is changing at the speed of light, the number of communication channels is growing dramatically, and the content needs to constantly adapt to them. “Content” complements the concept of “advertising”, and the main requirement the modern customer sets for it in 2018 is to be engaging. What format it will be implemented in — video, visual or textual comes second in significance. Thanks to new technologies, consumer experience has modified a lot and now it is necessary to stay in constant interactive contact with your potential clients through those channels or applications they use for content consumption. This requires putting more focus on inbound marketing than outbound, involving SEO, blogging, email, and social media to help the customer on the research phase. Information about the whole funnel of interaction with a client is no less important: Was your message clear? Did it reach the right audience? How did your potential client react to the message? What caused questions? That’s why I insist on the idea that marketing, support, sales, and other departments should work as one team and share their insights and together produce ideas for the content that will be liked, shared, and used as a supportive tool for making purchasing decisions. Focusing on in-bound approach, you can make your development more data-driven. 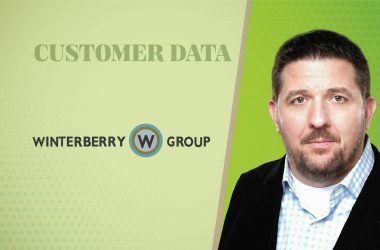 The less efforts you demand from your customers, the better data you will receive. The analysis of this data will play a great role as only in this way you can extract meaningful, business-relevant insights. What is the most impactful lesson you learned in 2018? How do you plan to implement the lesson in 2019? Establishing effective collaboration between Marketing and Sales is a very important and underestimated topic in business development. Marketing often doesn’t receive enough feedback from sales, and sales complain that marketing doesn’t drive leads. These two departments often work on two different unsynchronized systems. 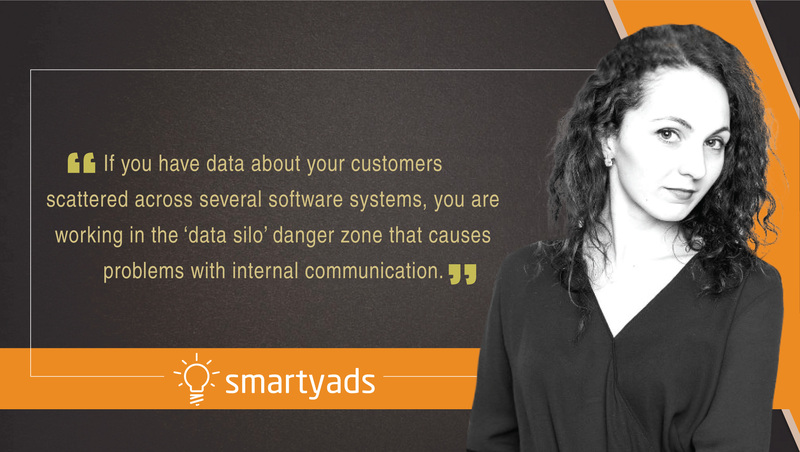 If you have data about your customers scattered across several software systems, you are working in the ‘data silo’ danger zone that causes problems with internal communication. As a solution, we see the CRM development with integrated Machine Learning capabilities. Via API, such software must effectively integrate all product-related data and marketing tools. This will help us to create the funnel through which the data flows continuously, map the customer’s journey, and streamline internal communication processes. Merging CRM solution with AI and Machine Learning technologies is what turns simple internal user database into a smart predictive analysis system. That’s why it’s the next important point on our ‘to-do’ list. The pool of data the brands collect on a daily basis broadens, and this requires applying new approaches to process it effectively. AI and Machine Learning algorithms will become our main helpers that gather, sort, and analyze enormous arrays of data in the future. The illustrative cases of these processes already exist. For instance, it is Machine Learning that helps marketers to interpret the user data. Applying the filtering and search tags on unstructured data allows brands to extract the main idea from the sum of gathered customer feedback without hiring a big data analyst. Data-powered technologies can work for different business tasks: operational enhancements, developing strategic decisions with predictive analysis, creating development forecasts for your product promotion campaigns. The most influential and fundamental ability of these technologies is the power to generate the insights that help to make important predictions for business. Whereas CRM focuses on current situations gathering the data in real-time AI and ML are future-oriented, because they know how to analyze existing customer data, define the trends, detect the opportunities, and recommend the improvements. I follow marketing activities of top industry companies, but I can’t say that I work closely with someone in marketing particularly. Everything related to the programmatic industry — the most valuable ideas and recommendations I receive from our CEO Ivan Guzenko. I’m sure that the AI revolution is a natural technological process but it will mainly take place through the revolution in the business models. Just look at the leaders, Uber, for instance, is the world’s largest taxi company that does not own cars, Airbnb is the world’s largest housing rental provider with no actual real estate. These companies simply took existing products and figured out how to repack them in order to create new services based on new business models. Those are examples of innovations in business models that use AI and Machine Learning algorithms. If previous developers needed to write new code from scratch to solve certain tasks, today it is enough to take a ready-made algorithm and train it. It contributes to the creation of new business models like White Label. Same way, AI will significantly improve the quality of products and services in the near future. After all, when all processes are optimized and the routine tasks are handled by intellectual automatization, companies will achieve better results spending less money and time resources. Irina is the CMO of SmartyAds. At Smarty Ads, Irina’s role is to develop and execute marketing strategies and visions for company’s projects; find and focus on the key сustomer acquisition channels; measure and track effectiveness of marketing campaigns; work with designers, writers, and developers to deliver engagement marketing campaigns and landing pages and work with the PR team to magnify activity in media. 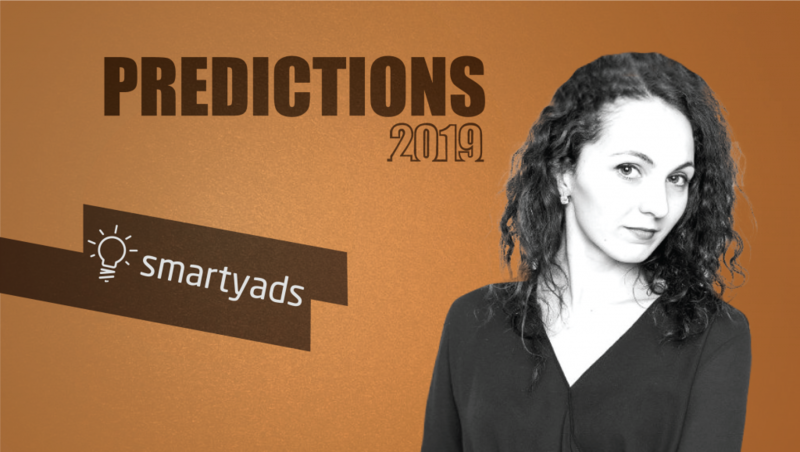 SmartyAds is a global programmatic advertising company offering innovative advertising and monetization solutions for digital advertisers and publishers. Our innovative products help businesses to achieve impressive results across all channels, devices and ad formats. Finding new possibilities within Artificial Intelligence, Blockchain technology, and Big Data Analytics, we are reshaping the future of programmatic advertising, making it surprisingly simple for every client.